SR-9500 is an indoor ceiling mount wireless access point for hotels, cafe, hosptical,school and home. 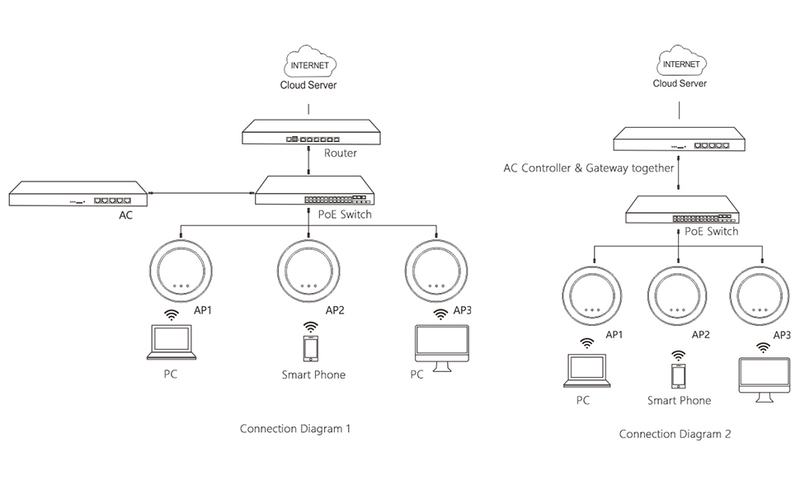 Comply IEEE 802.11n 2T2R MIMO Technology, 300Mbps high speed, integrated 24V Passive PoE, it can be installed in areas where power outlets are not readily available, easy installation and lower cost; Housed in a ceiling mountable case, the SR-9500 can be installed on a wall or ceiling to blends in nicely with most interior decorations in the house, to extend optimum wireless signal. 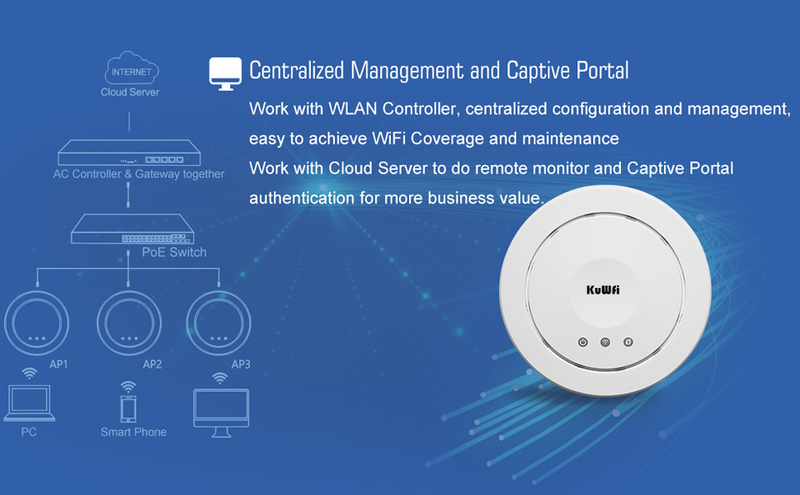 Work with WLAN Controller, centralized configuration and management, easy to achieve WiFi Coverage and maintenance, access into Cloud Server to do remote monitor and Captive Portal authentication for more business value. Integrated 24V Passive Power over Ethernet (PoE), work with PoE switch or PoE adapter, pluy and play, installed in areas where power outlets are not readily available, eliminating the mess of altering existing network infrastructure.